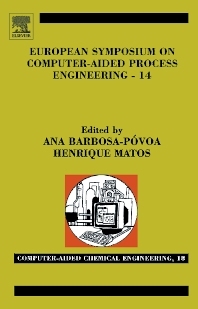 This book contains papers presented at the 14th European Symposium on Computer Aided Process Engineering (ESCAPE-14). The ESCAPE symposia bring together scientists, students and engineers from academia and industry, who are active in the research and application of Computer Aided Process Engineering. The objective of ESCAPE-14 is to highlight the use of computers and information technology tools on five specific themes: 1. Product and Process Design, 2. Synthesis and Process Integration, 3. Process Control and Analysis, 4. Manufacturing & Process Operations, 5. New Challenges in CAPE. Large research libraries, and industry.